I am currently working on a Drunkard's Path table runner and a sampler quilt (a quilt along project). I am already a follower on Green Fairy Quilts - Judi is so talented!! So hard to choose but I love the Dilly Dally bundle the vest...Its got so many bright and pretty colors! My favorite fat quarter bundle would be Maison de Garance by French General. I am all signed up for the newsletter from Green Fairy Quilts now! 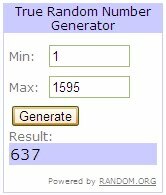 PS Thanks for the giveaway! I have a bit more organizing to do but the binding on my circle quilt is the first sewing priority. I just posted about the giveaway! Yay Thanks again!!!! I love the Giddy by Sandy Gervais. But I'd have a tough decision to only pick one. Wow...so many comments! I am doing a quilt for an auction for my kids' school and also the latest Old Red Barn ticker tape Quilt along. Great FQ bundles...I would say le petit ecole if you twist my arm and make me choose one. Right now I'm working on some soft "ABC 123" baby blocks. I'm working on a Piece of Cake quilt by Thimble Blossoms using Bliss fabric. My favorite FQ bundle is Punctuation by American Jane. I really want to make a quilt from this line. signed up for the Green Fairy blog! I'm working on the center for my Sisters' Round Robin quilt. I signed up for the newsletter at Green Fairy Quilts. Posted about the giveaway on my FB page! Oasis fat quarter bundle is my favorite, though it was really hard to choose from such nice eye candy. I'm working on my UFO#3 for the 2011 UFO Challenge - it's a Block a Week that only needed to be put together and quilted. It's just waiting for binding now. I am currently working on Christmas stockings. I realized the ones I made alomost 10 years ago are not really the colors I love, so I thought I'd make more for next year. I still have the Christmas spirit! Working simulateously on an "in case it's a boy" baby quilt for my preggo friend (pinwheels in Prayer Flag) AND a black & white interpretation of a postage stamp quilt! LOVIN' the dilly dally FQ bundle! I just received a Dilly Dally Layer Cake from Green Fairy today! How perfect would this be to add to my stash!! Thanks for the opportunity! I'm working on a postage stamp quilt using the new Central Park line that I am totally in love with! Just signed up to follow the blog! I'm working on a patchwork quilt with 4 inch squares in black and red to cover my back seat with when the pup rides with us. The other day I pulled out a UFO that I started in a workshop in January 2010 and I hope to get the top finished shortly. I thought I was but am now definately a follower of Green Fairy Quilts. Dilly Dally is just gorgeous and would be my second favourite. I'm keen to play with some, but right now my favourite is Clermont Farms. I'm signing up for the newsletter right now. Finally I have posted about this gorgeous giveaway on my blog with links. I am working on my pink/brown quilt that I started a couple of years ago....I MUST finish! HoopLa looks like alot of fun! It can't hurt to try :) Do number pickers ever go up to 1311? I'm working on various bags (large and small), scarves, and need to finish up 3 quilts - tops are done, need to back & quilt. Favorite fat quarter bundle? I would have a hard time picking between Max & Whiskers, Origins, Punctuation, or It's a Hoot. 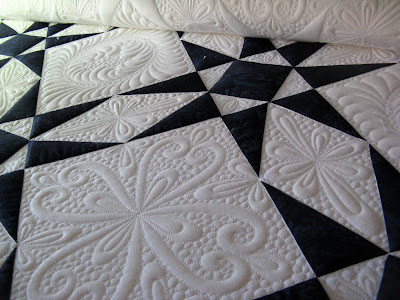 I am currently working on a queen sized black & white spiderweb quilt. It's slow going but looking great! I am now following Green Fairies blog! I am working on a christmas quilt for next year. I'm working on a Christmas UFO, and a project board for showing off my WIP. I'm working on quilts for my sons using a soldier fabric that I found. My favorite is Making New Friends by Deb Strain--love the snowmen! I'm make a patchwork duvet cover for a toddler bed. I am working on valentine mug rugs for my stitch group. I like the Lily and Will Wovens fat quarter bundle. Lots of cute fat quarter bundles. The dilly dally is great but It's a hoot looks like so much fun to work with. I'm working on finishing my first quilt! All I have to do is sew on the binding. I've also started working on a baby quilt. I've signed up for the newsletter. Should be a good resource. Pretty bundle!! I am working on potholders for the potholder pass 6 swap right now and I'm also working on an infant carrier tent for my new sweet baby with Hooty, Hoot fabrics! I am a follower of green fairy quilts blog. I love Max and Whiskers! I signed up for the newsletter and it looks great! I am a new quilter taking a quilt class at the community college and working on a block quilt. Lots of fun! Am now happy to be a private follower of the Green Fairy Quilts blog. There is lots to choose from but I think I like Saltbox Harvest. I am working on finishing a quilt for my mother - that was for Christmas and making lots of one inch hexagons. I follow GFQ's. And I love love the black and white quilt she just finished!! I'm working on a "life cycles" quilt for my little girl that we are expecting in 4 weeks. I'm working on a "life cycles" quilt for my little girl that I am expecting in 4 weeks...it will hang in her nursery when once I'm done. I'm working on a table runner. My first free-motion quilting project! I am currently working on a purple wave quilt by Oh Fransson. My fav FQ Bundle is Breakfast at Tiffanys by Fig Tree Quilts. I have made 3 quilts from this line already I love it that much! I tweeted about it! Everyone loves a good giveaway! I am working on several projects: a hexagon charm quilt, a four-patch quilt for my step-daughter, and a modern patchwork quilt for me. I am a follower at Green Fairy Quilts. I am now a follower of the Green Fairy Quilts blog. It looks like so much fun! What? I have to pick ONE favorite fat-quarter bundle? I love them all! And great prices! Okay, if I must pick . . . Hoopla by Moda. I love bright, happy colors, so my favorite bundles are Hoopla, Chrysalis, and Dilly Dally. I signed up for the newsletter. I've never shopped at GFQ before and I think I've been missing out. My current project are quilts for my nephew birthdays later this summer and a Postage Stamp Quilt Along over at PS I Quilt. I now follow the blog. I signed up to receive the newsletters. My favorite FQ is Giddy. But they are all great!!! I am working on two things a quilt using French General. And the PSI quilt along postage stamp quilt. Thanks for the chance to win. I am working on a scrappy log cabin quilt for moi, and have a Mod Bento Box quilt top to sandwich and quilt. 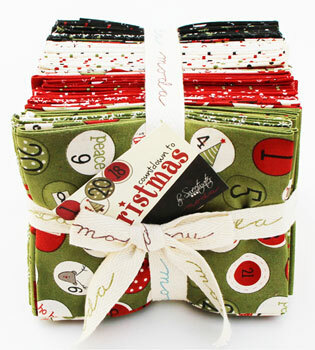 My favorite fat quarter bundle is La Petite Ecole by French General. My 2nd is KT Favorites. I am in a sewing block right now, maybe these will help! I just finished a queen size new wave quilt by elizabeth hartman, and now I'm working on a baby quilt from the moda bake shop. I am currently working on a baby quilt with Nest by Valori Wells. I'm currently working on a bright baby quilt for a friend. My favorite FQB is Fresh Flowers. It's beautiful! I'm working on getting my new sewing room up and running! (I've been ousted from the living room.) Wish me luck! I'm working on winter/valentine placemats! I am working on the borders of my Yellow Challenge quilt! I am working on the bordering my Around the Corner quilt. It is only the second quilt I've made. 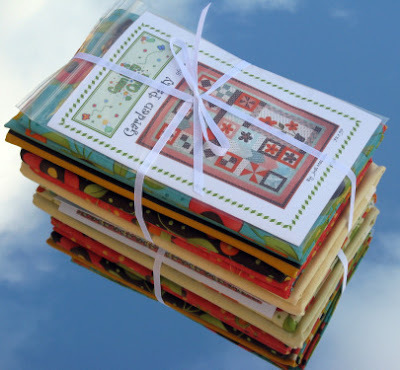 Like all the fat quarter bundles, LOVE Giddy, by Sandy Gervais. 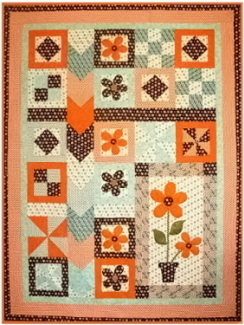 I am a follower of Green Fairy Quilts, and our quilt store has a few of her patterns. I "liked" Green Fairy Quilts on facebook, but I don't have a blog to post it on. I'm working on a couple of quilted pillow covers to match a duvet cover I made last summer. I am working on a scrappy log cabin quilt. I really like the "Giddy" bundle. Been wanting to make a quilt in those colors. right now there are a million things I am working on. Trying to get valentine's pillowcases done for my girls and some skirts and dresses. Signed up for the GF newsletter. I follow green fairy quilts already and love it. I love dilly dally and giddy. would be fun to create with those pieces. I'm now a follower of GF blog. I like the Bliss bundle at Green Fairy quilts. I have a couple projects in the work right now, but the main ones are a couple baby quilts for upcoming showers and some burpcloths. :-) Thanks for the giveaway! I'm currently working on a log cabin quilt using jelly roll strips. I'm working on quilting a whirlygig quilt made from Me and My Sister's Birdie line. Thanks for the great giveaway! 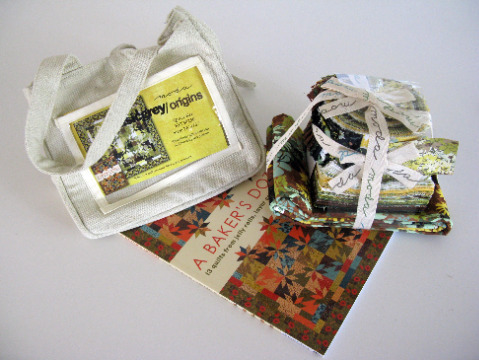 My favorite FQ bundle is a toss up between Dilly Dally and Giddy. I have been drooling for those ever since the first time I saw them! If I win one, then I would buy the other! I signed up to get Judi's newsletters! Thanks for the chance at such a great giveaway!!!! I'm working on my Moda Funky Monkey baby quilt right now! I just added myself as a follower on Green Fairy Quilts! I would love to win the Max and Whiskers Fat quarter bundle!!! OH my gosh! HOW did you manage to get the one fabric I've been drooling over for the past two weeks since I first saw it? I LOVE Dilly Dally. It's such a bright and cheerful fabric line. In all honesty, I'm not working on anything right this moment. I have a path that must be cleared to get to my machine which is a huge basket of laundry that must be folded. Thanks for hostessing such a fun giveaway. I love your blog and Green Fairy Quilts blog / shop / patterns. I'm currently working on a red & white Irish Chain quilt. Love, love, love both of you! I already follow Green Fairy Quilts. Thanks for such an excellent giveaway! In addition to lusting after the Dilly Dally bundle, I have my eye on Fresh Flowers by Deb Strain. Such bright fun colors! I am a follower of green fairy quilts also. Oh my favorite fat quarter bundle is easy ~ I LOVE Dilly Dally. I signed up for Green Fairy's newsletter already. There are some awesome fabrics available there. I am working on a snowball quilt right now. Would love to win this. Thanks! I signed up for your newsletter. I would love love to win this. Thanks. I'm working on finishing all my unfinished projects, before I start something new! I am working on a crib set for my baby due in just ten more weeks! I like the Deb Strain Fresh Flowers. Finding girly fabrics that don't SCREAM pink has been hard. I love how clean the flowers are! I love the fat quarter bundle of Dilly Dally by Me & My Sister!! I'm currently working on a disappering 9 patch baby quilt, A Ritzy Cracker by Mary Lane Brown from the MBS & the layer cake quilt along at Moose on the Porch. I'm a follower at Green Fairy Blog. I receive the newsletter from Judi. I love Kansas Troubles Favorites. So hard to pick just one fat quarter bundle but I can't. So, my favorites in top order are Origins, Giddy, Max & Whiskers and Lollipop. I'm making my disappering 9 patch with two Lollipop charm packs. It's so cute. Thanks Judi & Julie for the awesome giveaway! 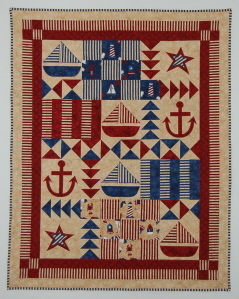 I'm working on the postage stamp quilt along on p.s.i quilt blog. Also a charm pack star quilt and a hst hoot layer cake quilt! All of the yummy fabric I got for Christmas. I just signed up to follow The Green fairy Blog! I am finishing off a quilt I started back in November then am going to make some blocks for the "Quilts for Queensland" appeal. I'm working on finshing a Christmas quilt (I'm either late, or really early, depending on your perspective!). Just signed up to follow Green Fairy Quilts! My favorite FQ bundle is Dilly Dally, so I'm really excited that it's the one for your giveaway! I am currently working on a charm pack quilt along that KarrieLyne of Freckled Whimsy posted last year. Finally got around to working on it. and love it! I signed up for Green Fairy's blog. WOW! Those are spectacular quilts! I love the Max & Whiskers fat quarter bundle. So cute! And I have so much girly fabric that I need to balance it out with something a boy would want. I'm trying to get a back completed for a quilt that has been finished since last June! Gee whiz!!!! I'm already a follower of Judi's blog! My favorite fat quarter bundle? KANSAS TROUBLES FAVORITES!!!!! And I already get the Green Fairy Quilts newsletter!! Love the Dilly Dally FQ bundle! I am currently working on a Barbara Brackman Civil War period quilt for my son. I've just gotten all the fabric together and have decided on a design, I think. Thank you for the giveaway. I love the Holly Taylor Classics Bundle. It has all the colors I love. Thanks for #3 chance at your giveaway. I have signed up for your newsletter. I just have to go to my email to accept it. Thanks again for #4 chance. I love this. I have blogged about your giveaway on my blog, Designs by Debbie and Dixie Too!! I'm currently working on a disappearing 9 patch.